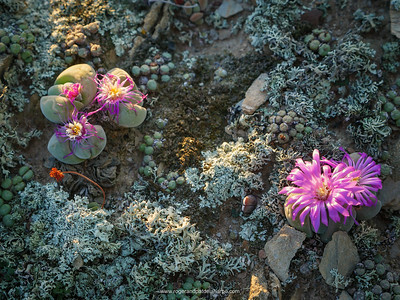 Karoo biodiversity - Roger and Pat de la Harpe Photography - Photographs, Video and Stock Images. Deserts and dry places - our favourite landscapes. One such place is the Karoo, a semi desert area in South Africa. It's roughly divided into the Great Karoo and the Little Karoo by the Swartberg Mountain Range that runs east-west and is separated from the Indian Ocean by another east-west range, the Outeniqua–Langeberg Mountains. The Great Karoo lies to the north of the Swartberg range while the Little Karoo can be found to the south of the Swartberg. But! 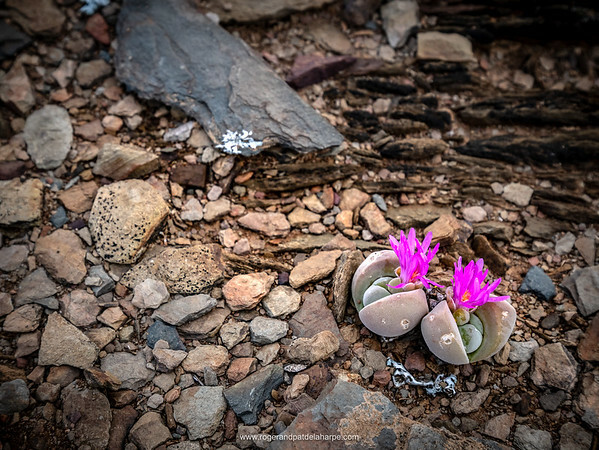 Get down on your hands and knees and explore the rocky outcrops, and you'll discover that the botanical biodiversity of this region is unequalled by any other desert or semi-desert on earth. If you have time and the inclination to count, you'll find over 5 000 different plant species, some 2 000 of which occur nowhere else! 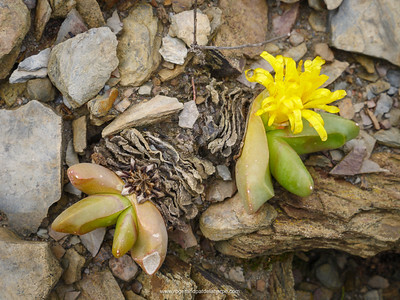 About a third of the world's 10 000 succulents occur here more than anywhere else! We should treasure this - look after it for future generations. Sadly less than 3% is covered by formal protected areas (nature reserves and national parks). Just 3%! Really!? 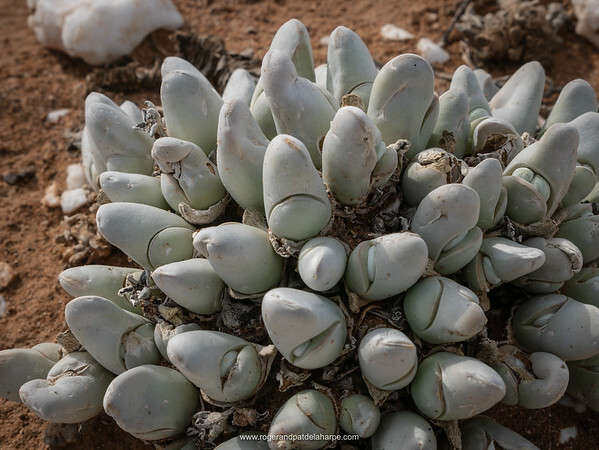 It is the only arid plant hotspot in the world! Into this vast area we peddled, loving the clean, cold winter, the freedom of movement and open space. But mostly we loved that we were part of this totally unique place! Please give us a shout of you'd like to use any of our images for your web site, magazine, book or anything else where you need visual content.